The 1988 movie Cocktail changed everything for Naren Young when he first saw it as a young lad in the 1990s. It ushered in a crush on Elisabeth Shue and—more importantly—the flair bartending and bar scenes of the film sparked an obsession with cocktails. After he first saw the movie, he began making cocktails for his mother and her friends growing up in Australia. At age 16, he was studying cocktail books his mom bought him (not the geeky, historic stuff but whatever was available in an age of overly sweet drinks and a time of masking spirits vs. showcasing them), trying out all manner of recipes. After he turned the legal Australia drinking age of 18, Naren worked in a liquor store and then bars around Sydney. 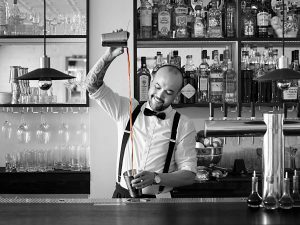 From spots like The Monkey Bar and the iconic Grand Pacific Blue Room to the lauded Bayswater Brasserie, he made his name in Australia, eventually bartending in London before moving to New York City, a cocktail mecca. In New York, he bartended at places like Public, Pravda, Bar Marche, La Esquina, Pegu Club and Bobo, before running all the bars—including the award-winning Saxon + Parole—for The AvroKO Hospitality Group. He also managed the bar at celebrated Empellon. Young now oversees the bar at historic Greenwich Village Italian café, Dante, crafting inspired aperitifs, low-proof sippers and other cocktail beauties for regulars in a casual neighborhood spot that feels current as it also blessedly hearkens to the NY of decades past. a) His great love of food. He cooks, experiments and eats around the world, long employing a culinary approach and vision to his cocktail recipes that is common on the West Coast but was (and still is) hard to find on the East Coast. b) He’s also a professional journalist, starting with his days bartending at Monkey Bar in Australia when he launched and was editor-in-chief of Australian Bartender Magazine. He’s written everywhere from GQ, Cigar Aficionado and Men’s Style, to Liquor.com, Epicurious.com and Gourmet Traveller. 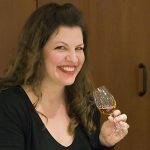 His own site, Fork and Shaker (www.forkandshaker.com), links to his many articles and explores his global travels in food and drink. In his own words, Naren talks about the right way for distillers/brands to approach getting on the shelves of a great bar and what is exciting him now in small-batch spirits. I was born and raised in Sydney, Australia. I guess I started off like many people do: at the bottom. I was cleaning at this Italian restaurant when I was 14 where I’d eye bottles behind the bar, a bit intrigued by it all. Then I saw the movie Cocktail and I developed this strange infatuation and interest in cocktails and spirits from an early age. My mom started buying me all these cocktail books; average ones, not antique cocktail books. Just easy stuff people would make at parties. I started tinkering around making cocktails for her [mom] and her friends, probably terrible, undrinkable things, blended drinks and so forth. What led you to bartending? By the time I could actually work in a bar when I was 18, I had developed this sort of academic, encyclopedic knowledge of drinks before I could really make any of them. It was a weird way I went about it. Very unorthodox, for sure. I started working my way up through bars and restaurants, getting more and more experience and working at some of the best bars in Australia. I wanted to open my own bar but financially wasn’t ready to do it at the time so I decided to travel. Eventually, I moved to New York, which was at that time, the pinnacle of bars in the world, at least historically. I felt like I had to be part of that scene and be surrounded by the people I’d read about and had been following online. I came here in 2006, didn’t really know that many people and decided to see what happened. I started with AvroKO group pretty soon after that. I opened Saxon + Parole with them and was the cocktail guy for their whole group [which over the years included Public, The Daily, Madam Geneva, The Thomas in Napa, Saxon + Parole in NY and Moscow]. How does living in NY influence your bar style? When you’re surrounded by that many people with that much knowledge, and with a similar mentality, it’s only normal that your standards and your level of excellence are going to develop and evolve. I already had a very culinary sensibility to my drinks as I’ve mostly only worked in restaurant bars. I’ve also been an avid cook and a restaurant critic [in Sydney]. I’ve traveled to eat and follow the food world very closely so a lot of my drinks and bar programs have moved in step with that. My classic cocktail knowledge has gone up because when I moved to New York 11 years ago, that was very much the focus. I’m not sure that it changed my style so much as it has made me exponentially better. It’s a mix. We carry some big brands. I think any bar that blatantly dismisses those because they are big brands is missing the point. 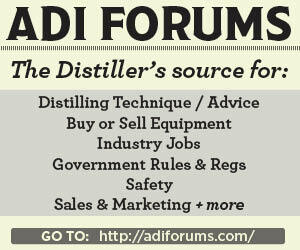 But then there are other issues involved: whether those friends’ [brand representatives, distillers, etc.] spirits are made ethically, philosophy of sustainability, and so on, which depends on the bar itself. But I think to ignore some of them is a bit shortsighted, depending on the bar. But then there are smaller brands where I like their philosophy and the people who work for them. But at the end of the day it has to taste good as well. I try so many small batch, artisanal, new spirits that are just starting out and they just don’t taste good. Just because you’re “small batch” doesn’t necessarily mean it’s good: it just means you don’t make much of it. Some brands have been making spirits hundreds of years because they’re good at it. How do you and your team educate customers on new and quality spirits? We’re a small venue, a neighborhood place where we get a lot of regulars. We try to earn their trust and as we get in cool and interesting products, we keep making those suggestions to them. It’s about a relationship first… sometimes the way things are foisted upon people [bars], I wonder, “Do you even know what we’re about here?” The way you talk to one bar should be completely different than the way you talk to another bar. I say, “Why don’t you come in here for lunch or a drink? Get a feel for the place. Drink a glass of wine or a beer and get a vibe for what we do.” Then after awhile, once you’ve got that relationship started, it’s a bit easier. I can’t stand when people just come in and try to ram it down your throats. I wish more people would start a conversation and relationship. The real estate on my backbar is maxed out. If I’m going to take something off, then you need to give me a good reason why I should take something off. Don’t give me a marketing spiel but a real, honest reason why it should go on there [instead of something else]. I love anything coming out of St. George [in Alameda/Bay Area, CA]. Lance and those guys do a great job. I like what the guys at Brooklyn Gin (www.brooklyngin.com) are doing. Their product is good, the packaging is beautiful and they are downright just good guys. The whiskeys coming out of Balcones—they’ve always made some great whiskey. I’m always a big supporter of Allen Katz [of New York Distilling Co. www.nydistilling.com] in New York. Besides your bar, what do you think are some “can’t miss” or personal favorite food and drink spots when people are visiting your city? Maison Premiere [in Brooklyn; http://maisonpremiere.com] still does a great job—their quality is great. Even some of the old classics. I still have a great time at PDT. I like the downstairs room at the Dead Rabbit when it’s not too busy. I like going for a pint of Guinness at Swift (www.swiftnycbar.com). I like the NoMad: I think the library bar there is really beautiful and appreciate what Leo [Robitschek] does over there. Probably my favorite is to sit at the bar at Gramercy Tavern.